Gives deep nourishment for fuller looking strands. Smooths fly-away strands for a sleeker look. Gives spectacular volume to very fine or thinning hair. 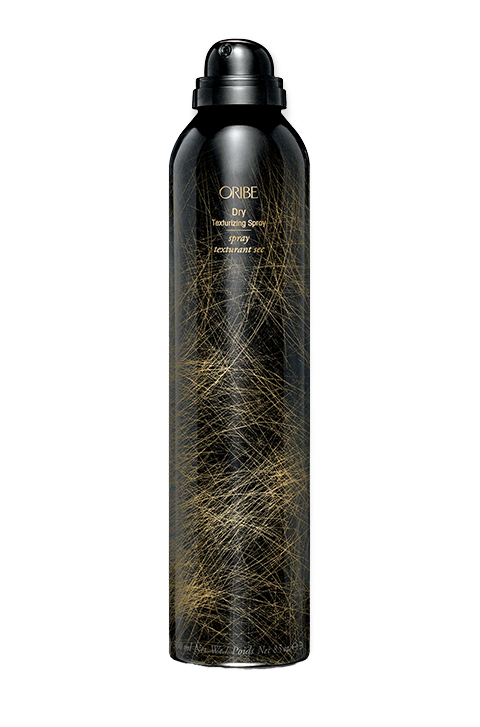 Oribe Maximista Thickening Spray is the secret behind thick hair with spectacular volume. It provides full nourishment for your strands and gives each one volume so that your locks are thicker, with more body. This spray gives added protection from heat and gives your hair body that lasts much longer than most sprays. 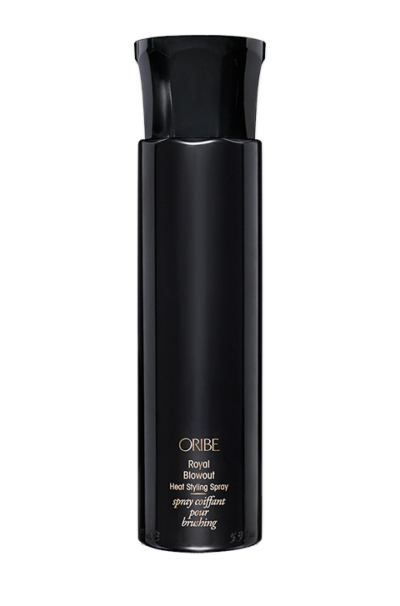 And like all Oribe products, it smells so delightful, with a fragrance that takes you through most of the day. For hair with volume and styles that last, this spray is exactly what you need. Well, if you are tired of hair sprays that promise volume and hold, and yet go flat after a single day, then you really do need this one. It uses the latest technology to protect your locks from the effect of heat, while providing deep nourishment and conditioning for your hair. It expands each strand so that your tresses are fuller and thicker. This spray is also light and so does not weigh your hair down, which is really great. Best of all, it does not have sodium chloride or parabens, contains UV protection for hair and is colour and keratin treatment safe. What’s not to love? Yes, it really does work. It does not just give your hair more volume and thickness, most people have found that this spray makes their locks smoother and tames flyaway strands. 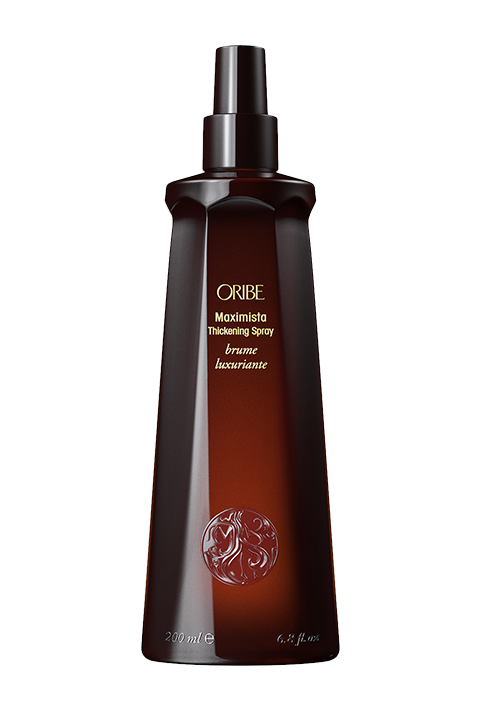 The volume that Oribe Maximista gives does not disappear after a couple of hours like other products – it actually does last the whole day. If you have super fine hair or locks that are thinning, this spray makes it look and feel thicker. Maximista has quickly become a favourite for most of our clients wanting more volume and hold. You will get the most out of this spray if you use it while your locks are still damp. Part your hair into sections and focus on one section at a time. Spray from the roots to the ends and then blow-dry, using the highest volume. Using Oribe Maximista Thickening Spray on dry hair will not give your optimal effects. Also because it is really quite effective, a little spray goes a long way. In this case, less is definitely more. No problems! You can give us a call on 02 9360 8708, email us or send us a chat with your phone number and a time when we can call you. One of our talented hairdressers will give you expert advice and you can rest assured that you will get the exact product you need. 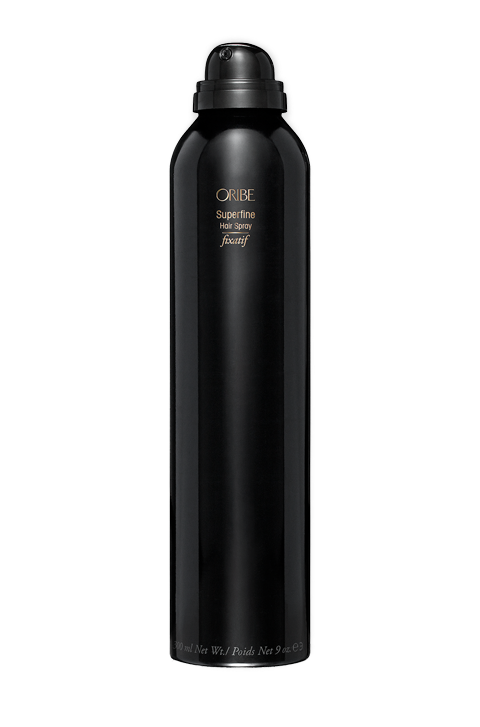 Oribe Signature Complex (Watermelon, Lychee and Edelweiss Flower Extracts) protects hair from photoaging, oxidative stress and weakening of natural keratin. It also shields the strands from the damaging, drying and colour-eroding effects of the environment. Copolymers create a thin layer on the hair shaft that holds back the hair’s ability to take in moisture, thereby creating a hold that keeps your style much longer. Keratin Amino Acids and other conditioning agents act as moisturizers to soften and strengthen your hair. Centrimonium Chloride is what protects your hair from static and provides conditioning to the hair shaft. Multilayered UV Protection System keeps your tresses safe from the harmful effects of the sun by providing UV protection for hair that lasts.